Planet Word is a museum with a mission: to inspire a love of language in all its forms. of adults read below a fifth-grade level. In the 21st century, first-rate literacy skills are more and more essential. The very strength of a democracy depends upon a literate population to understand and address the complex issues of the day. But in the U.S., all the trends are moving in the wrong direction: too many adult Americans cannot read at a functional level; fewer people read for pleasure or subscribe to a daily newspaper; reading scores on standardized tests have stagnated; our political discussions too frequently descend into diatribe, not dialogue. 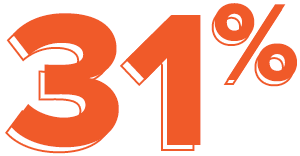 of 4th graders fail to perform at the Basic level on national reading tests. Lacking fundamental reading skills, a significant number of Americans are being left behind. Too many Americans are unable to read recipes, medication labels, and job applications or perform the basic reading tasks that so many of us take for granted. We aim to help change that by making language and the language arts an integral part of the American experience in Washington, D.C.
We’ll take our guests on an immersive journey that will awaken a love of language that will last a lifetime! We’ll show every visitor the fun of words and language everywhere they look – from the menu in the café to the walls in the bathrooms to the floors and the stairwells. And by welcoming readers of all ages and at all language levels, including non-English speakers, Planet Word is truly for everyone. Many surprises about words and language await at Planet Word. Visitors will engage in activities that make words and language exciting with delightful programming and playful, interactive exhibits. Opportunities for self-expression and intense listening ensure that no one will leave Planet Word without finding the fun in how we joke, sing, speak, read, and write every day. Visitors to Planet Word will realize that words really do matter, and that they can be humankind’s most powerful tools. Innovative, playful, and immersive exhibits and experiences will beckon visitors to explore the power of words. Through multi-sensory and physical activities, through listening and conversation, Planet Word will inspire and renew a love of words and language, leaving visitors eager to return over and over again. Visitors will create a marketing campaign, watch themselves give a famous speech, or be moved by the rhythm of words and lyrics. They'll meet professional linguists and participate in cutting-edge research in our language lab. A full range of programming in the museum’s auditorium will also provide opportunities to explore the world of words. Visitors can hear the hottest spoken-word poets, listen to authors read from their newest books, and enroll in classes on songwriting, storytelling, or sign language. When it’s time for a break, visitors can enjoy a Gutenburger or some alphabet soup at the museum café. To round out a memorable visit, the museum store will offer unique, word-related gifts. Photograph in the Carol M. Highsmith Archive, Library of Congress, Prints and Photographs Division. Planet Word is a 501(c)(3) public charity. It was incorporated in Washington, D.C., in 2013 as the Museum of Language Arts, Inc. The museum is thrilled to find a permanent home in the historic Franklin School, at the corner of 13th and K streets in the heart of Washington, D.C. The school, the site of one of the earliest co-ed high schools and teacher-training institutes, was also the site of Alexander Graham Bell’s transmission of a “photophone” message, a precursor to today’s fiber-optic communications. The school’s striking architectural details add to the building’s national landmark status. Following sensitive but extensive interior renovations adhering to the strictest historic preservation standards, Planet Word plans to open its doors to the public by Spring 2020. Planet Word’s location in the iconic Franklin School will guarantee its role as a community anchor and cultural magnet in Washington, D.C., one that makes a difference at the neighborhood level and captivates national and international tourists when they visit our nation’s capital. You can expect much more word fun and play within Planet Word’s walls and within its digital universe! Planet Word is privileged to have the support of talented and experienced board members from across the country. Their leadership in fields as diverse as museum operations, governance, education, real estate, marketing, journalism, literacy, and community partnerships ensures that Planet Word has the guidance and oversight to grow from the kernel of an untested idea to a thriving, world-class institution. Don Baer is Chairman of the global strategic communications firm Burson Cohn & Wolfe. Lisa Bernstein is the Literacy Instructional Expert at LearnZillion.com where she designs and implements ELA content. Antoinette Bush is the Executive Vice President and Global Head of Government Affairs for News Corp.
HyeSook Chung served as Deputy Mayor for Health and Human Services for Mayor Muriel Bowser. Michael Cornfeld is President and Chief Investment Officer of Heritage Investors Management Corporation. Ann Doerr is the chair of Khan Academy. Susan Engel is Senior Lecturer in Psychology and Founding Director of the Program in Teaching at Williams College. Samia Farouki is the Founder and CEO of Hii-Finance, Corp., a global investment company. Ann Friedman is the Founder and CEO of Planet Word. Tom Friedman is the foreign affairs columnist for The New York Times. Jay Goldberg is an attorney and CPA who concentrates in tax, estate planning, and probate. Mary Lou Gorno is Managing Director of Ingenuity International. Ken Greer is a brand strategist, change agent, technology geek, and creative spark. Sara Lesk is Senior Educator and Manager of Art Around the Corner in the Education Division at the National Gallery of Art. Lindsay Martin connects the dots between mission, strategy, and day to day management and operations of non-profit cultural institutions. Craig Mundie, the former Research and Strategy officer at Microsoft, is President of Mundie & Associates. Jonathan Plutzik is the Chairman and principal owner of The Betsy – South Beach. Deborah Ratner Salzberg has been Executive Vice President of Forest City Enterprises since June, 2013. Stefanie Sanford serves as Chief of Global Policy & Advocacy for the College Board. Joseph Sassoon is an Associate Professor at Georgetown University's School of Foreign Service. Dov Seidman has led a career focused on how companies and their people can operate in both principled and profitable ways. Marsha Semmel is an independent consultant working with foundations, museums, libraries, and educational organizations. Doug Siegler is an estate attorney at the Washington, D.C., offices of Venable, LLP. Tina Small serves on the Executive Committee of the National Symphony Orchestra Board of Directors. Anna Deavere Smith is an actress, playwright, teacher, and author. 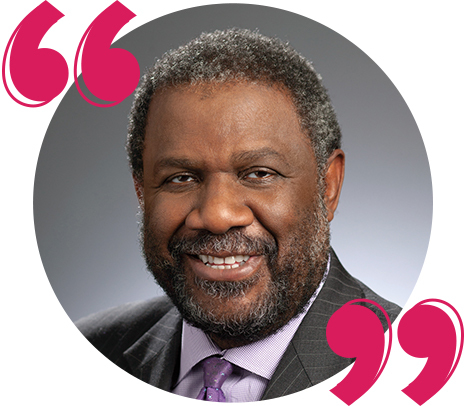 Ralph Smith is the managing director of the Campaign for Grade Level Reading. Rick Soskin serves as President and CEO of Engineered Network Solutions, Inc.
Jerry Tarde is the Chairman and Editor-in-Chief of Conde Nast’s Golf Digest Companies. The museum's eminent Advisory Board Members represent experts from many diverse fields – linguistics, anthropology, literature, computer science, natural language processing, music, theater, psychology, and more. But what they all share is a true love of words and a curiosity about language. The museum is fortunate to have their enthusiastic support and expertise as we move forward. Deborah Ross – Teacher of English as a Second Language, Maryland and Washington, D.C.